This little miracle jar is a life changer, seriously! 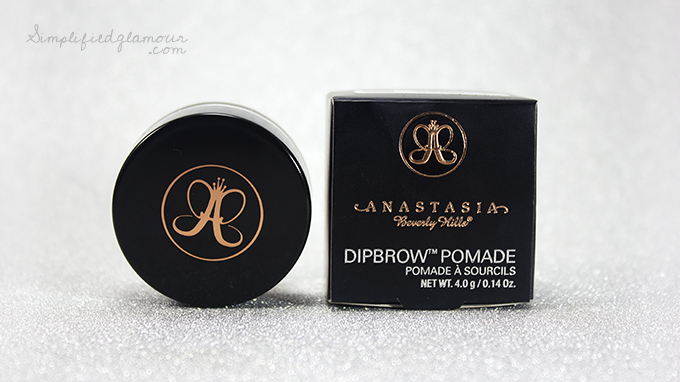 Before the Anastasia Dipbrow Pomade ($23 CAD / $18 USD) came into my life, I’ve been using other random eyebrow powders and pencils – and it just didn’t seem to last me as long as this did. 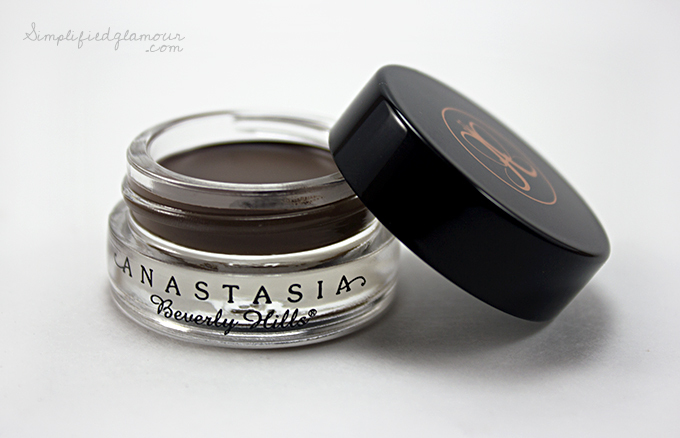 The Anastasia Dipbrow Pomade is available in 11 shades and contains 0.14 oz/4g of product. 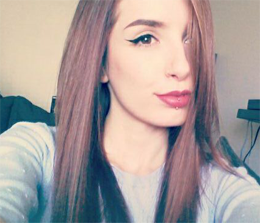 The toughest choice for me was choosing a colour that suited me. 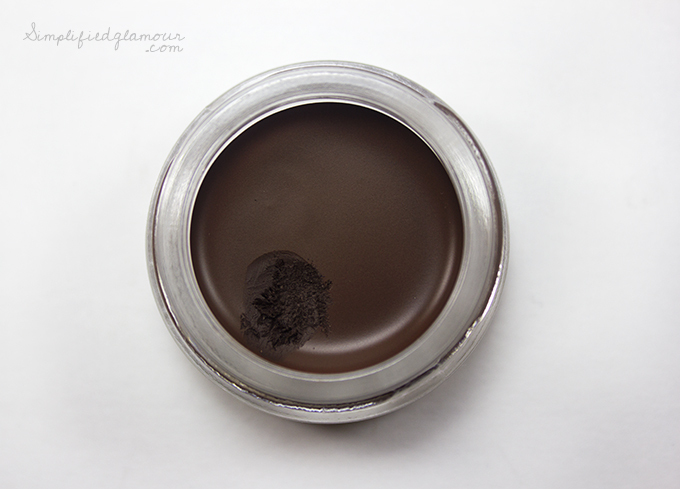 DESCRIPTION: A smudge-free, waterproof pomade formula that performs as an all-in-one brow product. This creamy, multitasking product glides on skin and hair smoothly to create a clean, defined brows. 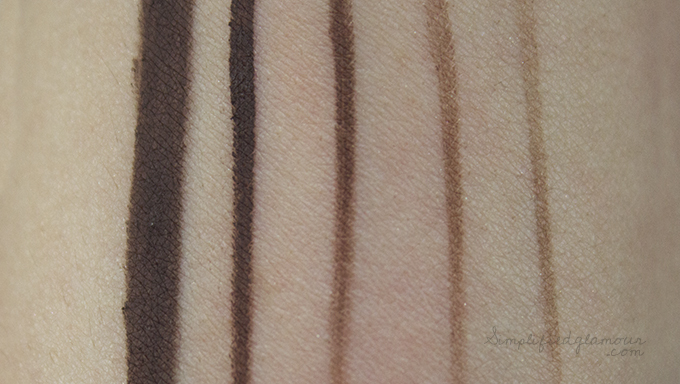 The standout formula works as a brow primer and provides color, sculpture, and shading. It is ideal for oily skin and in humid climates. I can vouch for this product when it says it’s smudge-free and waterproof. I’ve been in water and it hasn’t come off unless I rub my face with a towel. It definitely does not budge and lasts on me all day, no matter what I’m doing. It glides on smoothly and looks super beautiful! A little goes a long way, with that being said this jar would last forever (over 2 years and still going). And can I mention that packaging? It’s a simple and clean, sturdy glass jar so it won’t break, spill or leak (that easily at least). As you could see, I couldn’t wait to try this out. I’ve barely made a dent after daily use. You can achieve your desired intensity and shade, to either create a bold brow or a soft brow! Have you tried this out yet? 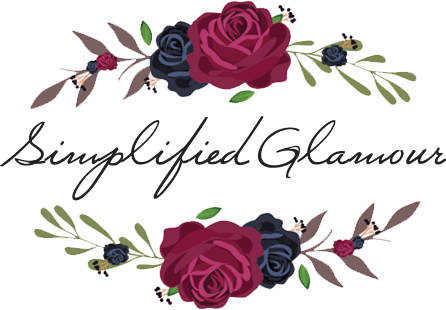 What eyebrow product do you use? I seriously need to get my hands on this. Even the color looks pretty good for me. I promise you won’t regret it! Might have a learning curve, but girl it’s worth it! They came out with more shades so you’d def find your colour.